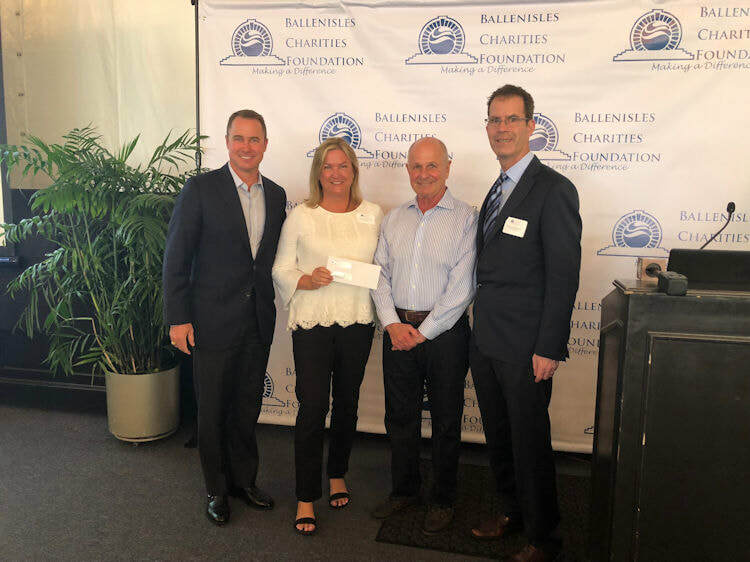 ​On March 12, 2018 the Suncoast High School Foundation received a grant in the amount of $11,900 from BallenIsles Charities Foundation, Inc. These funds were awarded for the Suncoast Art for Everyone – Bringing Art Back to High School program. This program bridges the gap between art and engineering to improve the Academic Excellence of Palm Beach County Students. The funds will be utilized to purchase MacBook Pros and supporting software to enable Suncoast High School to provide art and art education to a larger portion of the current student body. Bob Anton, Grants Committee Chair, BallenIsles Charities Foundation, Inc.
On Friday, May 30th, at our Performing Arts banquet, Mrs. Nixdorf took time out of the program to thank everyone that made this year's productions possible - including the Foundation. This video is from 110 students that participate and excel in our theater and music programs at Suncoast. It would be impossible for our arts programs to continue without the support of the Foundation and PTSA. We are very thankful for your continued contributions to an organization that helps provide balance, culture and the arts to our entire student body, something most students would not experience otherwise, yet is vital to their growth as individuals. 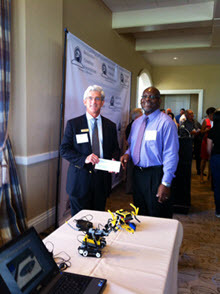 Suncoast Foundation receives $9,600 from BallenIsles Charities last spring for the Robotics program. Left: David Perry, President and Mr. John Bowers, Robotics Program.